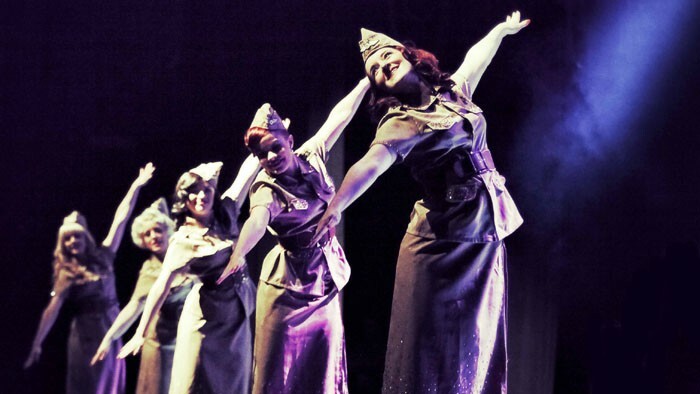 Come and enjoy Britain’s biggest burlesque extravaganza – we dare you! Arriving direct from London’s West End, a fresh cast of burlesque all-stars are unveiled for 2014. It’s flushed with success – following a thrilling 100-date UK tour combined with overseas adventures in Milan, Zurich, St Petersburg, Minsk, Leipzig, Verona, Dresden, Riga, Padova, Dessau. Join this all-new riotous romp into the bizarre world of burlesque and cutting-edge variety. Sashaying Royal Academy-trained burlesque bombshells slip into exotic character as smoothly as they slip out of the most exotic couture costumes ever to grace the stage. Evocative Arabian Nights, fabulous fan dancing fantasies, foxy 40s WAF sirens, bubblegum blowing baseball babes, cheesecake pin-ups. . . the themes come thick and fast. It’s the slickest, wickedly wittiest, most delightfully choreographed cabaret spectacular of the year. Dress up and come to the cabaret.